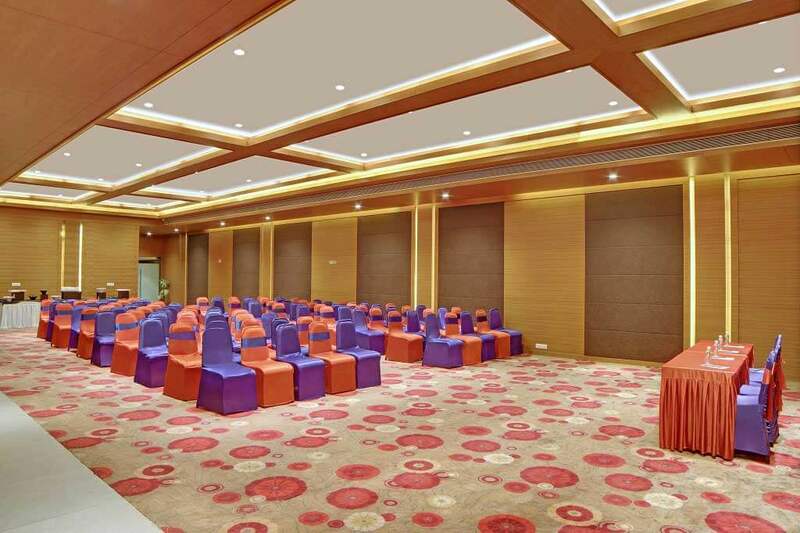 Banquet Hall in Ahmedabad – Gandhinagar | List of best banquet halls for wedding and party halls, venues, reception and locations in Ahmedabad with rates and price. 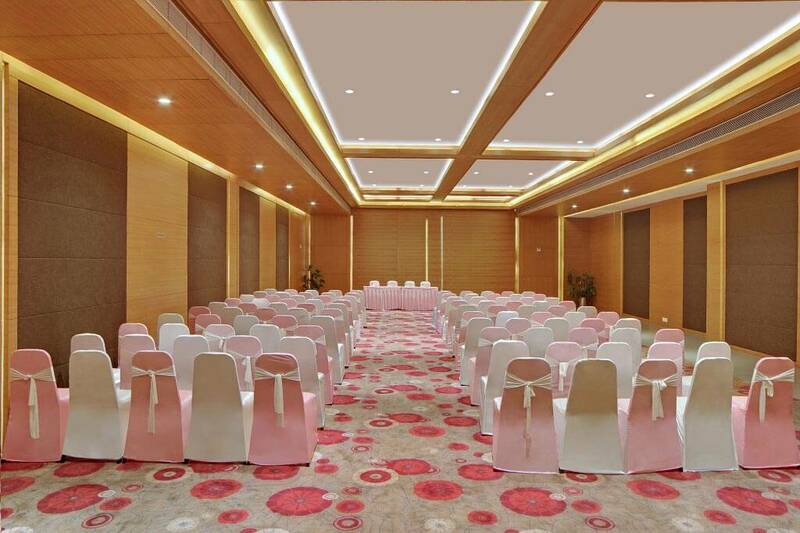 Here are collected all wedding venues and marriage halls with detailed information: photos of interiors, plans, contacts, a banquet cost, booking in Hotel German Palace. A cancellation is free of charge if done before 24 hours of Arrival Date. Penalty Charge for late cancellation is 1 night. Check-in / Check-out Policy -Check-in after 11:00 AM Check-out before 10:00 AM -Early Check-in shall be subject to availability only. For Guaranteed early Check-in, reservation needs to be done from the previous night. -Late Check-out shall be subject to room availability only. Children up to 10 years stay free in parents room when using existing beds in room. Extra Beds if availed in such cases, as charged as an adult. Children aged 11 years and older are fully charged. Hotel German Palace would like to request that all guests carry a valid form of photographic identification, such as a passport or driver’s license and all foreign nationals pictures would be taken at the front desk upon arrival as per Government of India regulation. As per local and state regulations, room rates are subject to Government taxes which include a 12.4% Luxury Tax on the Published Rate and a 8.4% Service Tax and 0.30% Swach Bharat Cess on room rate charged. Taxes are also subject to change without prior notice. Consequently, Hotel German Palace can only provide an estimate of taxes at the time of reservation. Weddings are ‘once in a lifetime’ affair and we know very well how important even the minutest things are. Therefore, we leave no stone upturned when you come to celebrate familial ceremonies at our property. 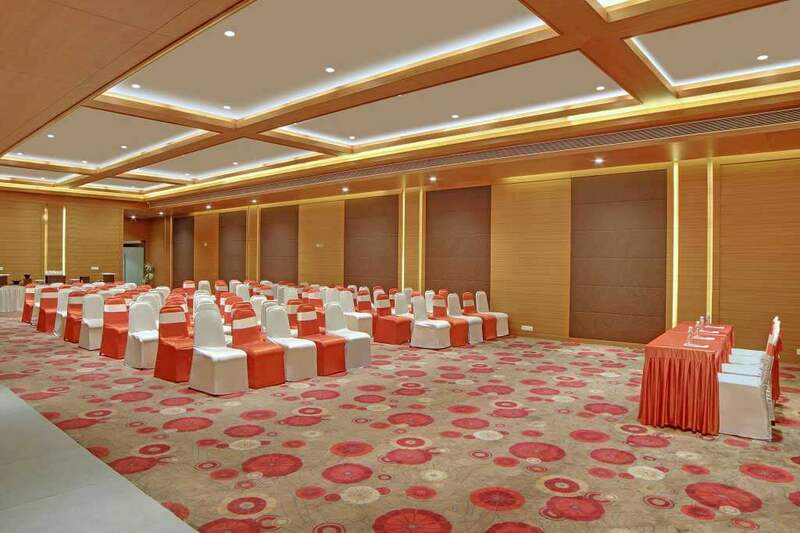 If you are in Ahmedabad or Gandhinagar and want to make your wedding or reception event special, why go for that old school marriage hall and reception hall? Make the spacious banquet rooms of Hotel German Palace your wedding venue, and throw a royal wedding bash for your loved ones in a modern style. Our hotel is located near Ahmedabad airport as well as railway station, which means all your guests can easily find and reach the venue in no time. We know how important food courses are in all weddings. Let us tell you, we have 24 hours running multi cuisine restaurant. This is why our skilled staff is well known for providing best wedding catering services where the guests can indulge in variety of international cuisines. See, we even help you impress your in-laws with best quality food they can relish. In addition to hosting wedding receptions and wedding events, we even facilitate musical parties, social gatherings and casual get together events. We have even witnessed the functions of welcoming of newly-borns in family and family reunions too. Hence, the next time you plan to have a friends’ meet-up, celebrate a day with your group, or even a private party or a kitty party, do not worry about selecting a venue; contact us and our coordinator will help you plan everything smoothly. Get in touch with us today to avail premium catering services from Hotel German Palace at your place, and make your event memorable. We are ready to serve you! Opposite Apollo Hospital, Ahmedabad-Gandhinagar Highway, Int’l Airport Rd, Bhat, Gandhinagar, Gujarat 382428.